The grand-daddy of all true crime shows is coming back for another round. Netflix has ordered twelve new episodes of Unsolved Mysteries, which is being shepherded to the screen by executive producer Shawn Levy (Stranger Things) through his 21 Laps Entertainment, as reported by Deadline. Also in the mix is original production company Cosgrove-Muerer Productions, whose principals John Cosgrove and Terry Dunn Meurer will serve as showrunners. In keeping with tradition, each episode will focus on a single unsolved crime, unexplained disappearance, or paranormal occurrence. Unsolved Mysteries was a genuine cultural phenomenon, with its initial run at NBC comprising nine seasons between 1987 and 1997. The show was picked up for brief stints on CBS (between 1997 and 1999) and Lifetime (between 2001 and 2002) before its eventual cancellation, with nearly all of its episodes hosted by veteran character actor Robert Stack. A brief revival of sorts was aired on Spike TV between 2008 and 2010, but it was simply a reworking of older segments presented by actor Dennis Farina (Stack passed away in 2003). All in all, the series aired nearly 600 episodes, with its official website reporting that it contributed to the arrest of over half of the wanted fugitives it profiled, and helped reunite over a hundred families. The series received six Emmy nominations, and garnered high praise from law enforcement agencies. Like the original, the revival will use actors to recreate the events surrounding its mysteries, and will also include interviews with family members, police officers, and others involved with each case. Netflix's official description is as follows: "This modern take on the classic series will maintain the chilling feeling viewers loved about the original, while also telling the stories through the lens of a premium Netflix documentary series. Each episode will focus on one mystery and once again will look to viewers to help aid investigators in closing the book on long outstanding cases." The involvement of Levy and 21 Laps suggests that the streamer is going all-in on the spooky, ominous tone that made Unsolved Mysteries such compelling viewing. The production house is enjoying a fruitful partnership with Netflix, which began with the supernatural '80s throwback series Stranger Things, a show that swiftly became a cultural touchstone in its own right and is preparing to debut its third season in July. Netflix will also be home to two other upcoming 21 Laps productions: Shadow and Bone, based on the Grisha series of fantasy novels by Leigh Bardugo, and I Am Not Okay With This, an adaptation of the graphic novel by Charles Forsman. 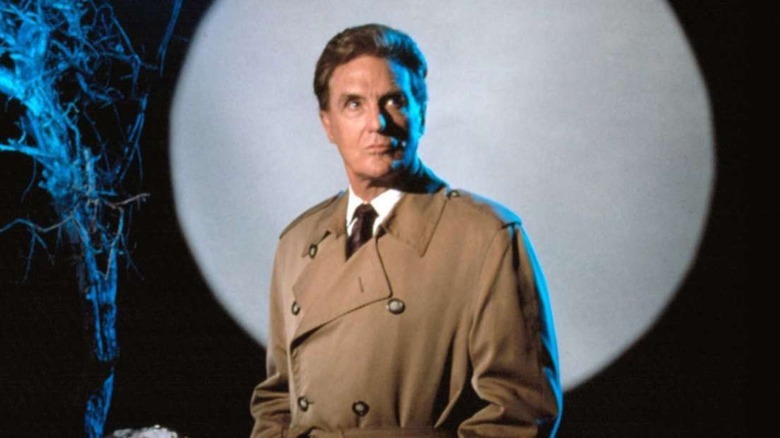 The Unsolved Mysteries revival has been in the works for some time now. The show's website has kept fans' interest piqued with new cases, and Cosgrove has been searching for a suitable platform to launch the reboot for years. In a 2017 Reddit AMA, he said, "We are actively talking to a couple of broadcasters who have shown interest, and we're very optimistic that we'll have something by way of new episodes by the end of the year. It's too early to go into much detail, but we've had our research producers look into possible stories, and they've found some excellent ones which can be ready to go quickly." Obviously, it took a bit longer than Cosgrove expected for the revival to pan out, but if there's any one platform capable of drawing a massive number of eyeballs to the new cases to be profiled, it's Netflix. The streamer recently demonstrated its knack for effective viral marketing with its social media-based promotion for the original Sandra Bullock starrer Bird Box, which simply captivated the world late last year. Although famously secretive about its viewership numbers, Netflix couldn't resist publicly crowing about the thriller's success; in a letter to shareholders released earlier this week, it was reported that an eye-watering 80 million households had viewed Bird Box, which also boasted strong repeat viewing. With that kind of clout, it stands to reason that the upcoming batch of Unsolved Mysteries won't remain unsolved for long. No production timetable or release date has yet been set, but we'll keep an eye out for additional details.